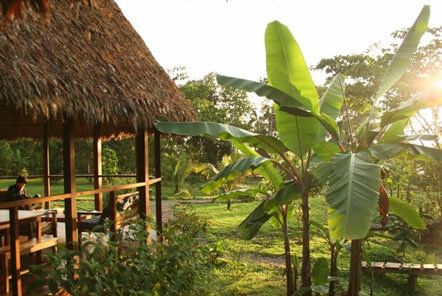 The Pod Charity has donated a grant of over £1,000 to help support the work at the Amazon Conservation project in Peru. The grant has been donated to help an on-going project which aims to boost local incomes and improve child and adult health in the Manu Nature Reserve and in doing so divert activity away from environmentally damaging sources of income, such as logging or the illegal pet trade. 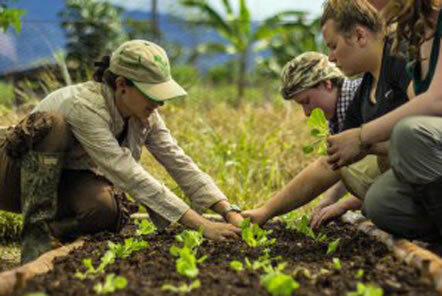 The project funds the development of family bio-gardens and community plots. The local cultivation of fruit and vegetables results in a more balanced diet that improves child and adult nutrition. The families can further sell surplus produce to generate a new source of household income. For families living in poverty on the poor soil of the Manu floodplains this extra source of nutrition and household income can make a big difference to quality of life. Secondly, the project develops and promotes agroforestry. 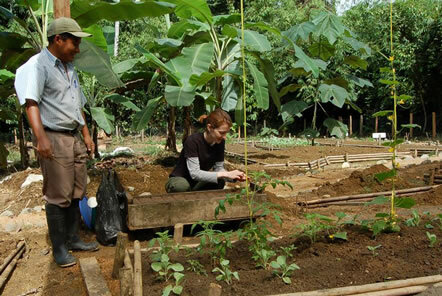 Banana trees are planted in between soft and hard woods on deforested land, re-enriching soils and enabling the farmers to sell the bananas in the short-term, soft wood after 15 years and hardwood after 40 years. Finally, the project will use the additional value of carbon sequestration credits to provide additional income towards achieving the sustainable development of local communities. So far the project has helped to positively impact around 360 people through the creation of biogardens, agroforestry plots, workshops, women's handicraft cooperative and job creation. Poverty is the main challenge facing communities in the region, which in turn brings about environmental degradation as local people seek to earn a living. Through the project the local people now realise the value of the environment they inhabit, and are motivated to conserve it in its natural condition if they are provided with economically viable alternative livelihood sources. The project aims to continue to divert time, labour and resources away from unsustainable practice such as logging and gold-mining; shifting cultivation to more sustainable practices which will more than double family incomes through the sale of crops. To donate to this on-going work in helping local communities and environmental projects in Peru please visit the Pod Charity page.